Our range of products include dynamize 3 in 1 gym shaker bottle 500 ml, grip strong shaker bottle, augusta shaker bottle, soccer lover gym shaker, 6 pack shaker bottle and power shake shaker bottles. 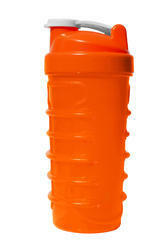 We hold expertise in manufacturing and supplying the finest quality of Grip Strong Shaker Bottle. IShake brings Augusta 700 ml Gym Sipper. Made of Tritan, Safest Material for Drinking. We obligated to meet the quality standards as per the industry norms. 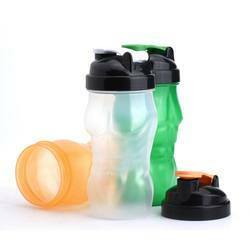 We hold expertise in manufacturing and supplying the finest quality Soccer Lover Gym Shaker. We hold expertise in manufacturing and supplying the finest quality 6 Pack Shaker Bottle. We hold expertise in manufacturing and supplying the finest quality Power Shake Shaker Bottles. 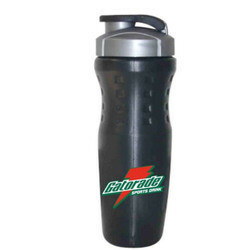 We have firmly positioned ourselves as leading manufacturer and supplier of Gym Sipper Shaker Bottles. 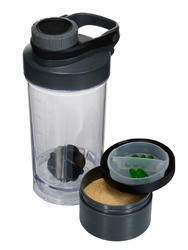 Owing to the presence of skilled team, we are involved in providing a broad collection of Speed 2 Storage Shaker Bottles. With our in-depth knowledge of this industry, we are involved in providing an excellent quality range of Power Ball Black Shaker Bottles. Our firm is counted amongst the significant names, offering a wide range of excellent quality Smart 2 Storage Shaker Bottles.